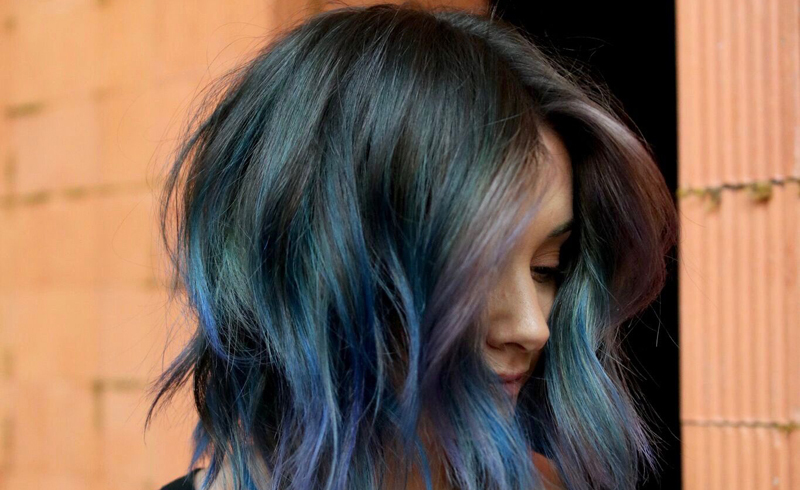 It only makes sense that hair color trends shift with the seasons. In the middle of July, you might find yourself laying on the hot sand with a bottle of fancy lemon juice praying for brighter blonde highlights, then all of a sudden it's the week before December and you're using words like "warm," "natural," and "minimal" to describe the caramelly tones you're lusting after ahead of the holidays. If you haven't found your winter-perfect color yet (maybe you've been too slammed to get into the salon, for example) we recommend taking a peek at the hair color trends that are poised to be huge in 2019, ahead. Yes, they're all pretty and great for this time of year, but the best part is that they're all super low-maintenance, so you can liven up your old highlights or refresh your dark strands without mandatory monthly appointments. We're breaking down the five hair color trends the pros predict will be everywhere next year, from golden honey bronde to soft pink pastels, ahead. Try a bronde infusion if you're craving sun-kissed color and buttery bright highlights in the winter months. 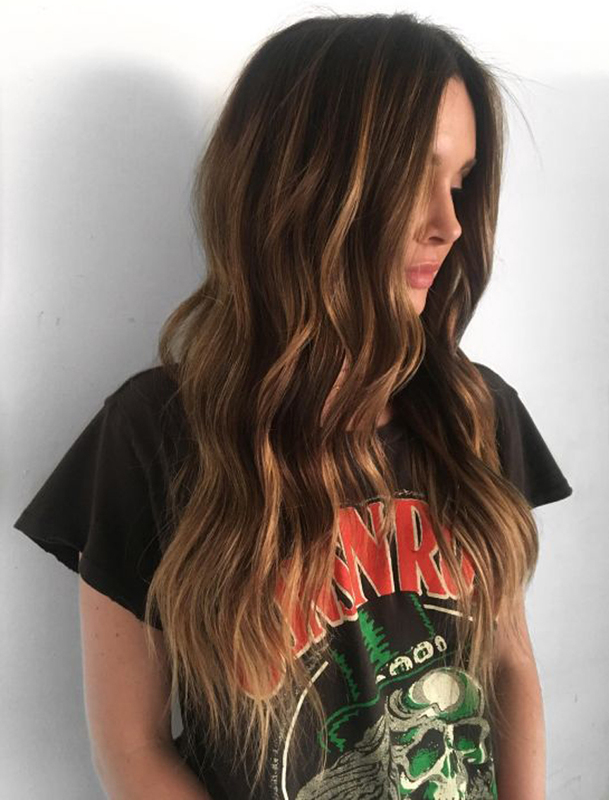 Cherin Choi, colorist at L.A.'s Nova Arts Salon, tells us that pale brunette tones — those that fall somewhere between blonde and brown — give the illusion of a restful week on the beach without feeling too summery. Choi tells us that bronde highlights work on any base color — from light blonde and deep red to dark browns and jet black. If you prefer to err more towards the blonde end of the bronde spectrum, Choi tells us that a gloss done every 12 weeks or so will keep the color glossy through the dry and chilly months. If you're looking for a warmer, more dimensional color transition to take into you the new year, consider a toasty mahogany highlight. Unite Colorist Kelly Massias at Lift Hair Salon tells us that red-tinged, woodgrain inspired colors will be huge come 2019. "Painting ribbons of auburn gold color all the way through the hair reflects light and gives this beautiful warm glow," Massias explains. A copper brown accent color has the same effect — read: warm and dimensional — when it's focused on just the tips of the hair. If your base is brunette, foil highlights with a reddish undertone give the color a subtle richness that still reads natural. Though you're looking at a more extensive maintenance plan if you need to first lighten your hair, pastel tones are a fun way to keep you from getting bored with your winter color. Plus, they're a killer way to cover old highlights with minimal damage. 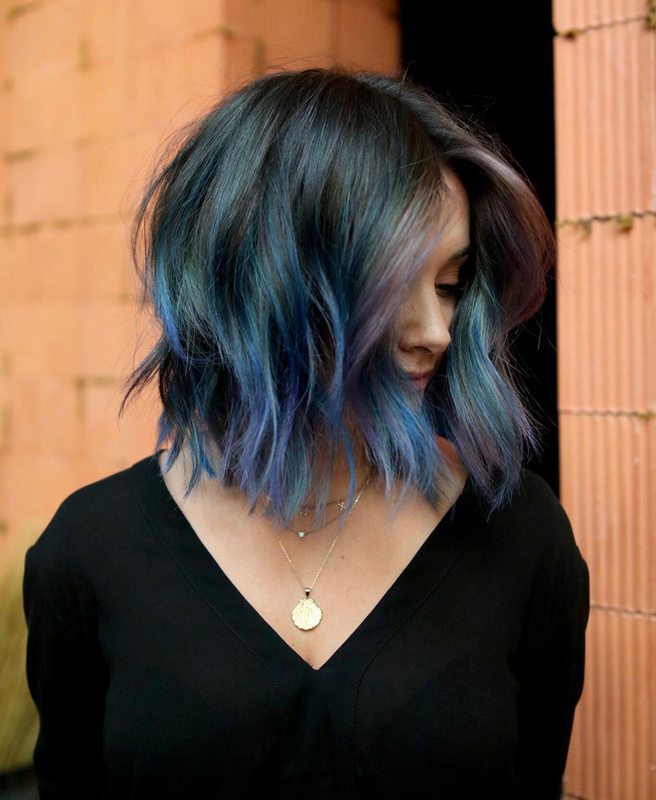 Choi predicts that pastels will be a big hair trend in 2019 — and says the softer colorful shades can even be blended together to create a rad, multi-tonal effect. Silvery blue and lavender tones give off a cool, smoky look when juxtaposed against a dark base color. A pale strawberry — almost dusty pink — shade is a chic way to try the eternally-cool hue for 2019. 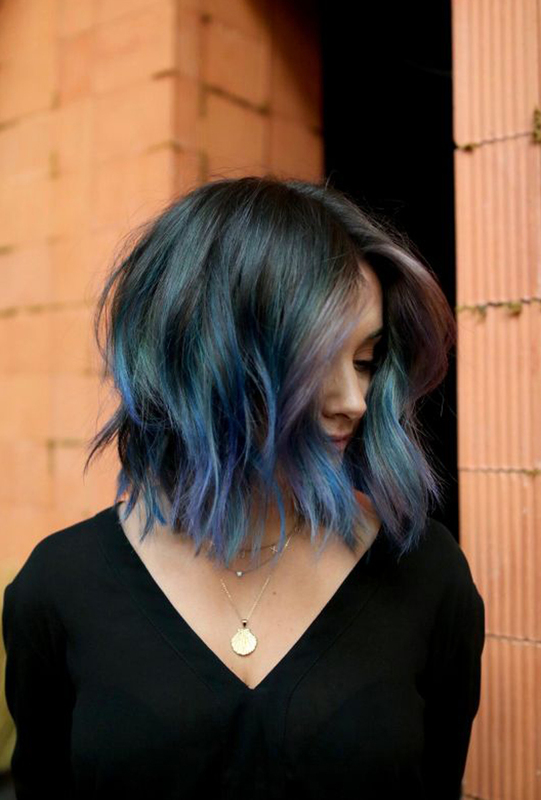 L.A.-based colorist Oliva Virden tells us that she sees hair color skewing a bit more natural in the new year. "I think a big trend for 2019 will be natural-looking, soft highlights," she explains. "Bleached hair and single process platinum was a huge trend, I think people will be softening their blonde this year." If you're still craving those bright blonde highlights, Virden recommends focusing the lightest tones just around the face, and keeping the root color a few shades darker. 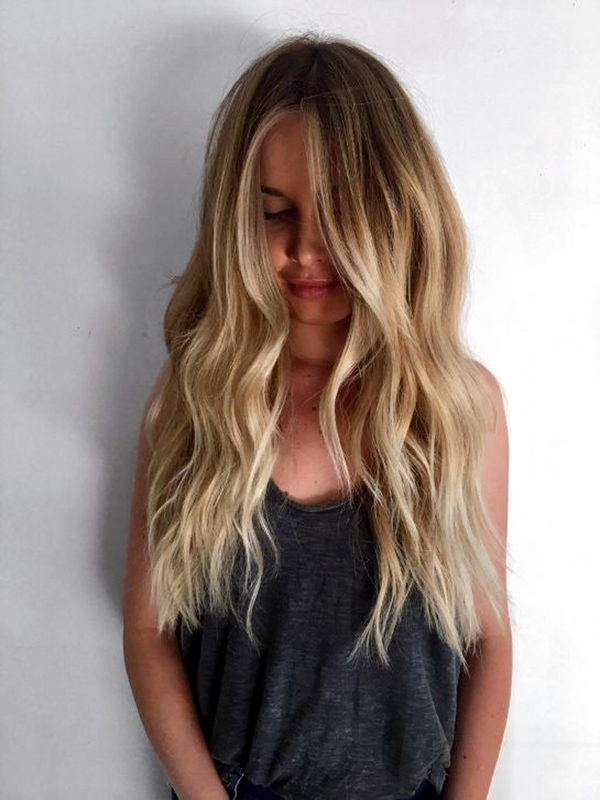 Bright blonde babylights strategically placed on the top and front layers of curly hair packs a punch while still limiting damage. In the name of natural-looking color, Anthony Holguin, colorist at L.A.'s Nine Zero One Salon, tells us that subtle caramel tones will be a big trend in hair color. "If your hair is dark brown or black, soft caramel-colored balayage can give dimension around the face," he explains. "If you're blonde, you can ask for a shadowed root with warm brown lowlights for the same effect." Hand painting ribbons of toffee tones around the face is an easy way to try the trend on dark hair. Holguin recommends defining your ringlets with a curl cream to give your new warm highlights a shiny, polished finish.